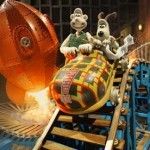 Full disclosure, I have been a huge Wallace & Gromit fan from the beginning. A product of the British animation studio, Aardman Studios, and the brilliant mind of Nick Park, the characters are made from moulded plasticine modeling clay on metal armatures and filmed with stop motion clay animation. 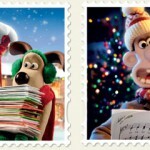 I hate to reduce it to such a clinical description as both Wallace and Gromit are as human a character to me as anything coming out of Hollywood these days. I know this is a bit of pulling back the curtain, but this is great behind-the-scenes stuff that shows you just what goes in to each second of Aardman greatness. It was back in 1989 when public television stations in the States began airing the first of three 30-minute pieces of brilliance with A Grand Day Out, followed by two eventual Oscar-winning shorts, The Wrong Trousers in 1993 and then A Close Shave in 1995 that I first discovered this bit of genius. How can you not take an immediate liking to an absent-minded inventor who is also a cheese enthusiast that has a fondness for Wensleydale? 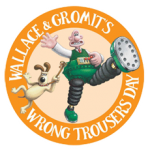 Wallace is voiced by veteran actor Peter Sallis, the actor known to millions worldwide as Norman Clegg from Last of the Summer Wine. Sallis also has the distinction of being the only LOTSW cast member to have appeared in all 295 episodes of the longest running British situation comedy in history. 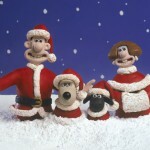 Gromit, amazingly, has remained silent from the beginning, communicating only through quite expressive facial expressions and body language. They have become international icons so much so that the BBC News has called them “some of the best-known and best-loved stars to come out of the UK” and The ICONS project, which invited the public to nominate and vote for the icons we cherish about England in the 21st century, has said they have done “more to improve the image of the English world-wide than any officially appointed ambassadors“. Couldn’t agree more. 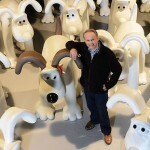 Thanks, Aardman, for making the world smile all these years.